The 65-year-old Mr Jaitley's term had ended yesterday. Upon re-election from Uttar Pradesh, he has again been named as Leader of the House, Chairman M Venkaiah Naidu said in the Rajya Sabha today. 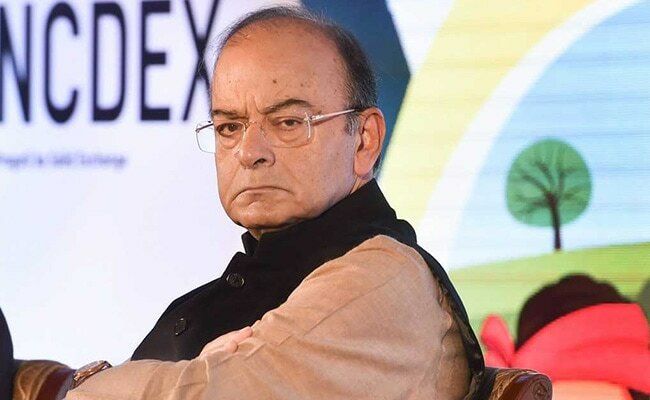 New Delhi: Finance Minister Arun Jaitley was today once again appointed as the Leader of the Rajya Sabha following his re-election to the House. When the House met for the day, Mr Naidu said he has received a letter from Parliamentary Affairs Minister Ananth Kumar stating that the prime minister has appointed Mr Jaitley as the Leader of the Rajya Sabha. Incidentally, Mr Jaitley did not take oath as a member of the Rajya Sabha today. 41 out of the 58 newly elected and re- elected members took oath today. Mr Naidu said Arun Jaitley was the Leader of the House but his term expired yesterday and on re-election he has again been appointed as the Leader of the House. In June, 2014, Mr Jaitley was apppointed leader of the House in Rajya Sabha. Prime Minister Narendra Modi is the Leader of the House in Lok Sabha.